The Scarecrow, a familiar figure in rural landscapes, can be found throughout Europe, the United States and many other countries of the world. His ragged figure has been recorded for centuries and his image has appeared in countless books and films. How did the scarecrow become the straw stuffed character that is synonymous with the fall harvest? During the Middle Ages in Britain and Europe, small children worked as “crow-scarers”. Their job was to run around in the fields, clapping blocks of wood together, to frighten away birds that might eat the grain. As the medieval period wound down and populations decreased due to plague in 1348, farmers discovered there was a shortage of spare children to scamper around and shoo the birds away. As an alternative, the farmers stuffed old clothes with straw, placed a turnip or gourd up on top, and mounted the figure in the fields. They soon found that these lifelike guardians did a pretty good job of keeping crows away. These types of scarecrows came to North America as waves of emigrants left Europe. Scarecrows are also found in Native American cultures. In parts of what are now Virginia and the Carolinas, adult men sat on raised platforms and shouted at birds or ground animals that came near the crops. In the Southwest, some Native American children had contests to see who could make the most frightening scarecrow, and the Zuni tribe used lines of cedar poles strung with cords and animal skins to keep the birds away. Scarecrows were popular during the heyday of America’s agricultural period until after World War II, when farmers began spraying their crops with pesticides to deter unwanted guests. Nowadays, although you don’t see a lot of scarecrows guarding fields, they’re extremely popular as a fall decoration. Join Heritage Village Museum as we celebrate the scarecrow this fall with our 2nd Annual Scarecrow Making Contest! Families, community groups, businesses, and individuals are all welcome to participate in creating a scarecrow to provide an exciting focal point between two fun traditions the Village holds every year: Fall Harvest Festival and Haunted Village. The entrance fee is only $15.00 and will include signage and placement during both events. Prizes will also be awarded to the best entries. There are no limitations as to how you decorate your scarecrow although the scarecrow must be waterproof and in good taste. The deadline to have your completed scarecrow at the Village is Friday September 13th. The winner will be announced on Monday October 28th. Gather your friends and help the Village decorate this Fall! To register, please call (513) 563-9484. 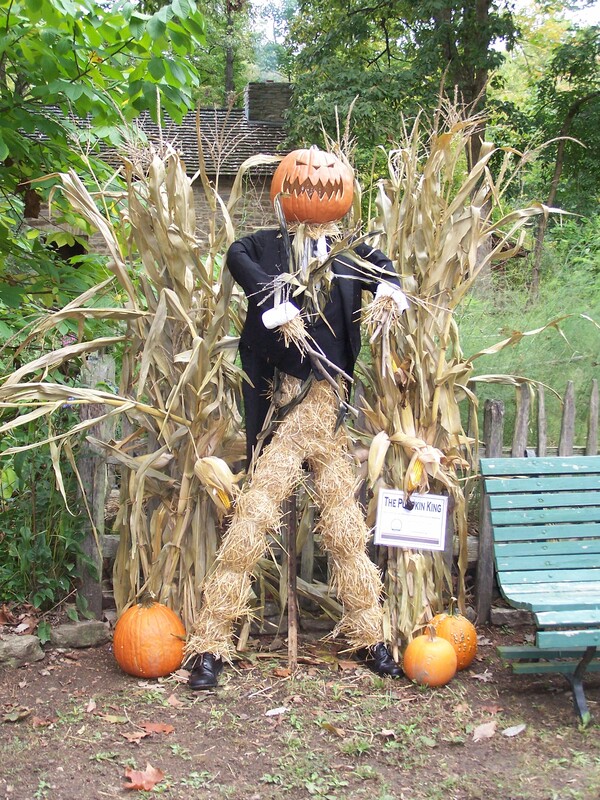 Or email info@heritagevillagecincinnati.org for scarecrow guidelines.